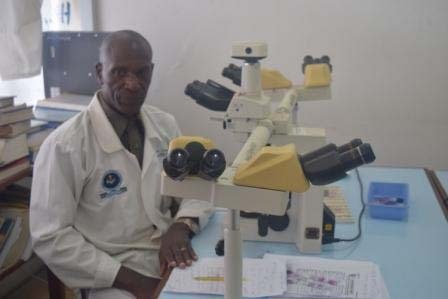 Head of Department- Dr. Jackson Kahima . BMC Laboratory is a referral hospital laboratory under the Government and Church partinership, which exists to provide quality healthcare, consultancy, research and laboratory training in health studies. 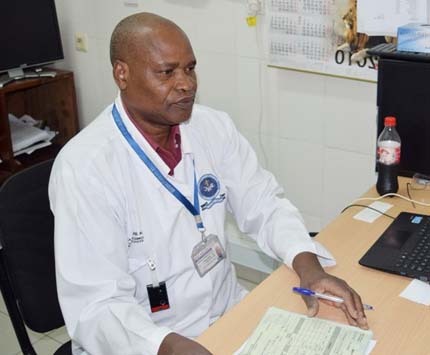 BMC Laboratory Management and staff are committed to the implementation of Quality Management System that meets the requirements of ISO15189 standard, national and international regulations including those of accrediting bodies such as SADCAS. Therefore BMC Laboratory is accredited with the recognized International Standard ISO 15189:2007 The accreditation demonstrates technical competency for a defined scope and the operation of a laboratory quality management system. BMC laboratory provides laboratory services for diseases diagnosis surveillance and monitoring through laboratory testing and provision of professional and technical advice as such contributing to patient care in the lake zone. The testing is provided in the fields of Hematology, chemistry, Bacteriology, Parasitology, Blood Banking, Immunology, Molecular Biology and Histopathology. The department deals with identification of disease conditions from images of patient body parts, taken in vivid. Training of radiographers to be competent in ultrasound.